WARNING: For mature audiences only. The contents of this web site may be offensive to some–view with caution. By entering this site you agree that no part of this web site will be reproduced in any form without written permission from the artist. Any misuse of this site is a violation of copyright; violators may be held accountable for damages incurred by misuse. 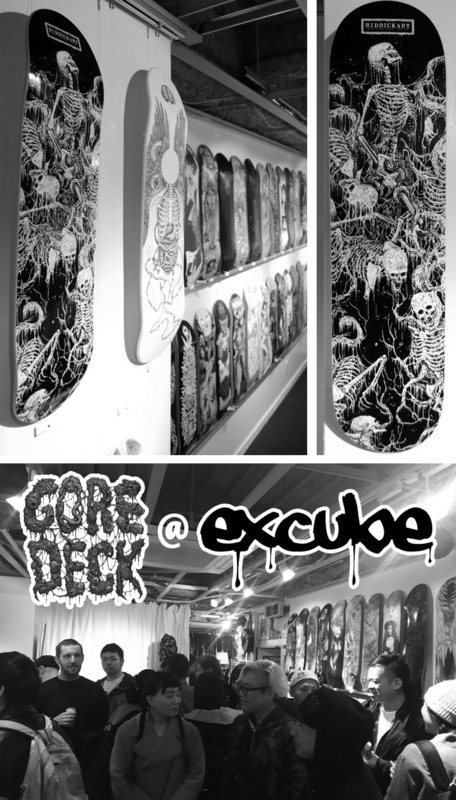 “Riddickart” Skateboard deck on display at the “GOREDECK” exhibit at Excube Gallery in Osaka, Japan. Special thanks to Toshihiro Egawa for the invitation to share my work at this year’s event.